CPCC Galleries are committed to inspiring, educating, and engaging students, faculty, and community members through access to exceptional visual art in all media. 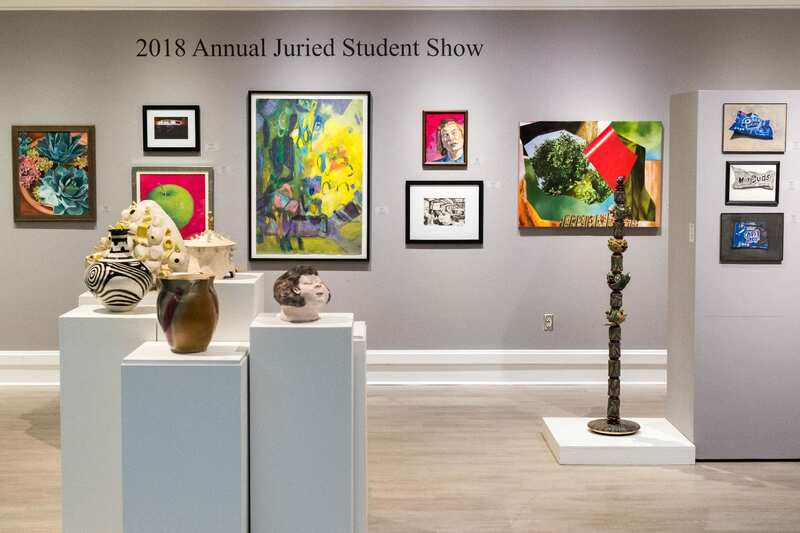 The Galleries constantly support the teaching mission of the college by serving as a lab for the visual arts curricula and enhancing a variety of other subjects. Additional educational programming celebrates artistic achievement and cross-discipline collaboration. 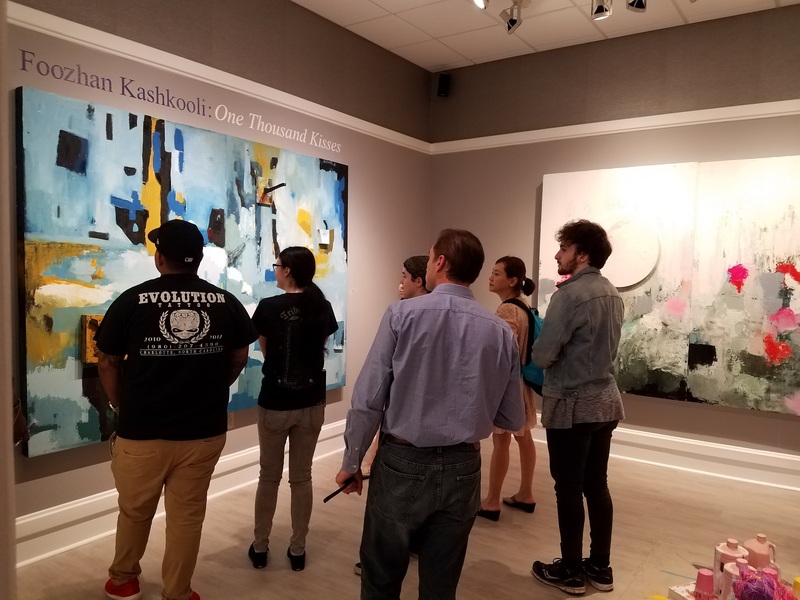 The CPCC Galleries Program encompasses Ross Gallery on Central Campus, the Patty and Bill Gorelick Galleries on Levine, Harris, and Cato and installation space on Merancas Campus in the Belk Center for Justice Building. 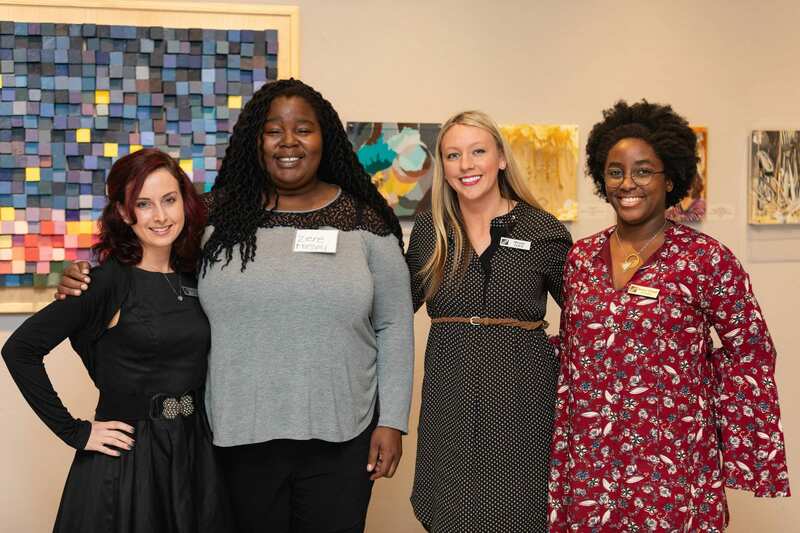 Additionally, our Art Galleries Program manages CPCC’s permanent art collection, curates public art installed on our six campuses. Hours: 10:00 a.m. – 2:00 p.m. Monday-Thursday, and by appointment. 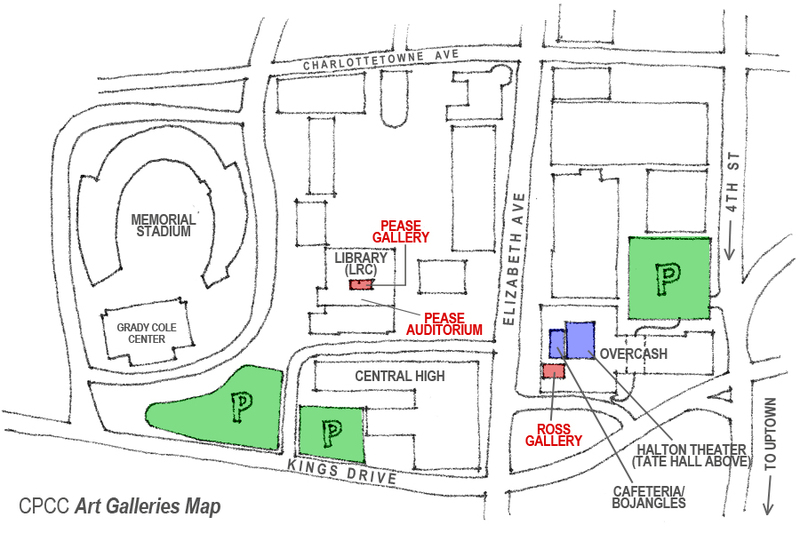 *Ross Gallery is open one hour before performances in Halton Theater and during intermission. Amelia Zytka has been a resident of Charlotte since 2013. As well as working in the Art Galleries, she is also a CPCC student working towards her AA degree. Upon graduation, she will be pursuing a degree in Art History in hopes of working in the museum world someday. Recently, she spent the summer as an intern at the Mint Museum working in Archives. Renee Cloud is a Charlotte native and received her BFA in Studio Art from Appalachian State University in 2015. She has been a practicing artist and curator in the Charlotte area for the past 6 years. 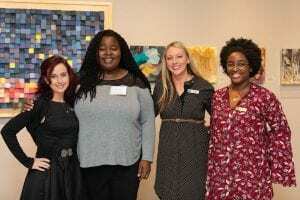 A Goodyear Arts Alumni, her dedication to the local art community stems from a deeply rooted interest in creative thinking and problem solving. Megan Boisvert has been active in the national art world as an art adviser, consultant, curator and artist for over a decade. Mrs. Boisvert hold a Master’s Degree in Art Business from Sotheby’s Institute of Art – Los Angeles. She served as a Fine Art Consultant with National Geographic Fine Art Galleries prior to joining Central Piedmont Community College. Mrs. Boisvert began her career in the Collections and Registrar Department at Patricia and Phillip Frost Art Museum and subsequently worked in Fine Art Appraisals at Jacqueline Silverman Associates, and Director of the Art Department for Art and Coin TV. In 2014, Mrs. Boisvert started curating exhibitions in non-traditional spaces throughout Southern California and now in Charlotte, NC. Free parking is available in Parking Lot 4 – Theater Parking/ Faculty/Event lot behind the Overcash building on 4th Street. 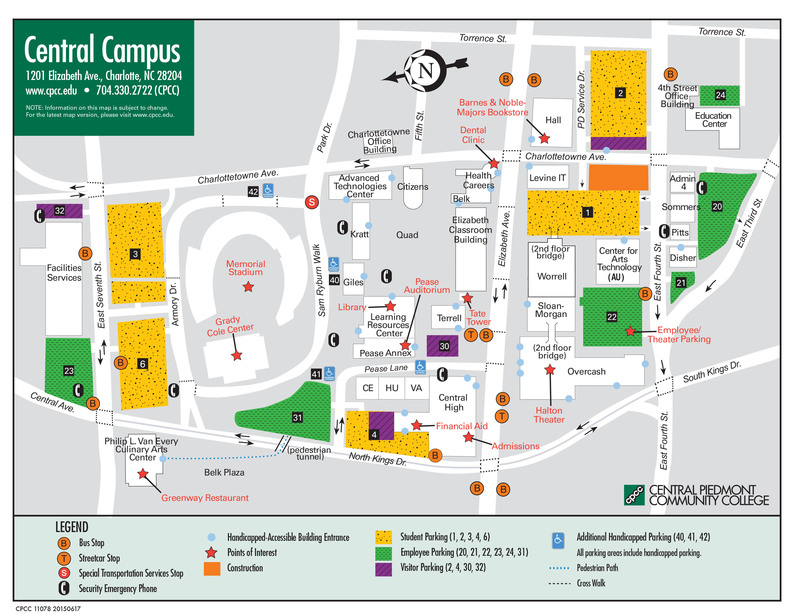 Secondary parking can be found off Pease Lane in the Visitor’s Lot. The visitor’s parking lot is gated and requires $3.00 to exit. It is also accessible via Kings Drive.